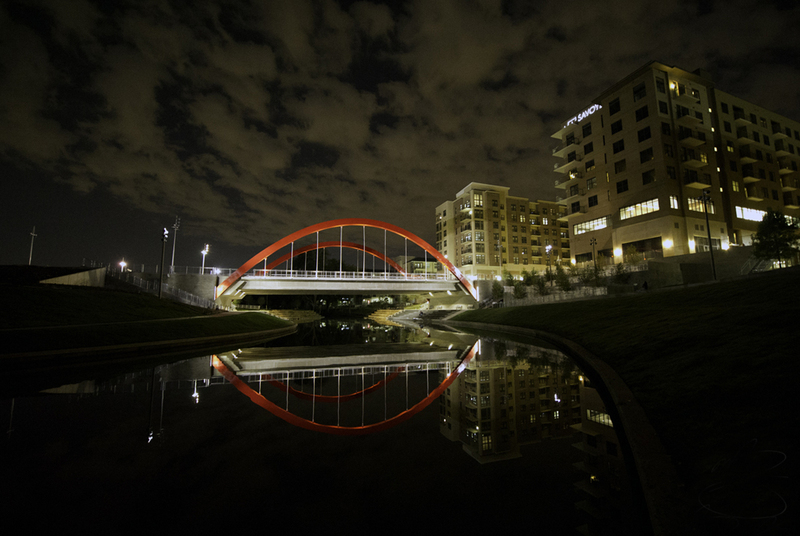 The vehicular bridges at Vitruvian park are landmarks. Each bridge is both circulation and a place through broad sidewalks that can organize rows of food truck. Tectonically the bridges are concrete beams with structural steel arches painted in LeCorbusier Salubra red. The vivid color and clear form provided orientation in the park and an iconic identity for images circulated on the digital domain. 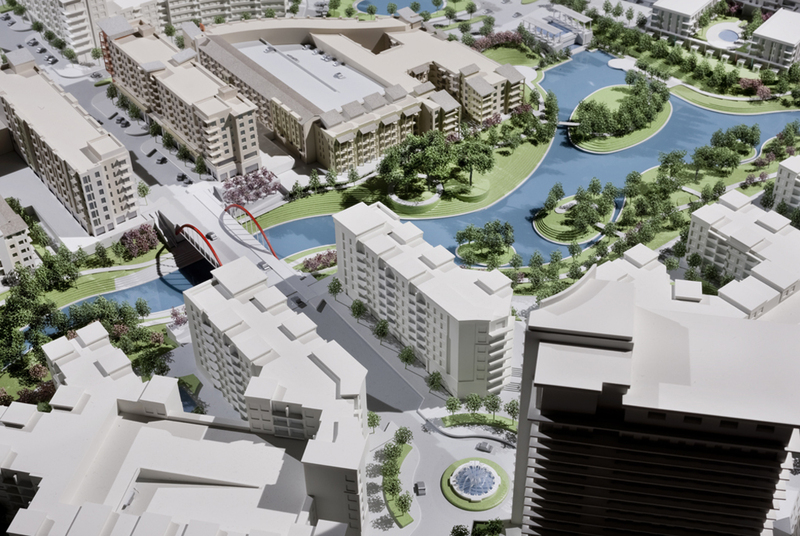 Kevin Sloan Studio conceptualized the red arched bridges in planning and designing the park. Halff Associates of Dallas, Engineered and implemented the sturctures.